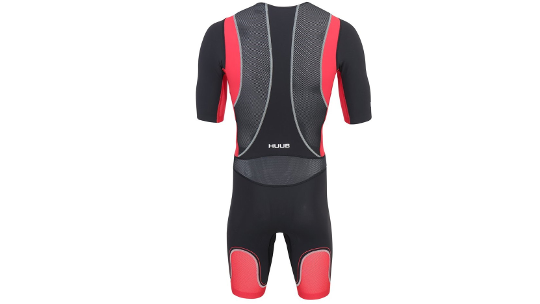 HUUB has always taken special attention to the development of the long distance tri-suit. 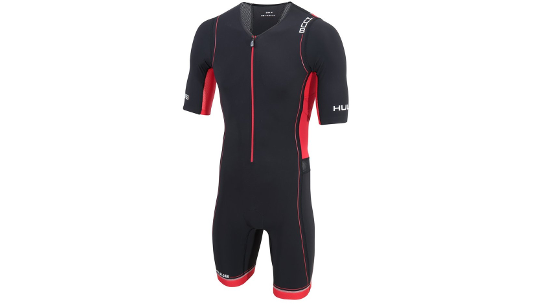 For years HUUB has built-on their continued research and design and it has resulted in a suit that not only fits likes a glove but has the comfort of your favourite pyjamas. Coldblack® technology is an ultra-fast drying fabric which rapidly removes moisture away from the skin leaving you feeling cool and race focused. This technology also provides a minimum of UPF 30 protection without affecting the feel of the suit. A close body zip, pockets found at the side of the suit and a high density, low-weight and profile, 3D chamois are all features that ensure high-quality comfort that can go the distance of your race. Guaranteed to provide a minimum UPF 30 protection when applied to any textile in any colour without affecting the look or feel of the product. Please note the extra breathable and cooling mesh area will allow UV to pass through so we recommend wearing sun cream in hot races.